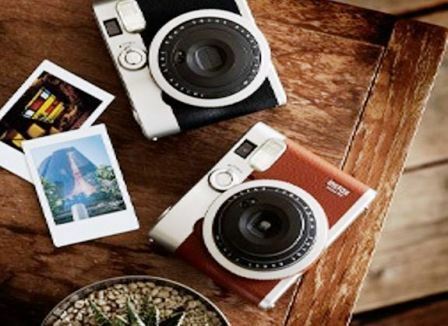 FujiFilm India company, which is well known for its Consumer and business products launched new Instax Instant print cameras. Company unveiled the 4 cameras at various price ranges which all has the Instant Print feature. Capture the photo and take a printout instantly out of camera. FujiFilm launched Mini 8, Mini 25, Mini 50S and Mini 90 at varied price ranges in India. Cameras has the Cutting edge instant print technology by which you can get the hard copy of your favorite picture in just seconds. More importantly it has the various colors and comes with year’s warranty. Product has been designed by keeping youth requirement in mind. It offers almost everything that photography passionate loves. “We are excited to launch the Instax series which has been well accepted in countries outside India. This range has been designed keeping in mind predominantly young age group and their requirements. Indian young population is experimental/ wants to seek new experiences and maintain their family values. Each camera has its own unique features, distinguishing one from the other and comes with 1 year warranty. Considering the growth of the market and the steady progress of the Indian economy, we have an extremely positive outlook for this series and expect it to be welcomed by customers of diverse needs in the country.”, Company spokesperson said. Instax Mini 8, Instax Mini 25, Instax mini 50S and Instax Mini 90 available at various color and prices. Check the Detailed Specifications and Price below. Shutter – Shutter speed: 1/60 sec. – Shutter speed: 1/60 sec. Shutter – Shutter speed: 1/60 sec. – Shutter speed: 1/3 – 1/400sec. Compare the Specifications of each Instax Mini Instant Print camera and find the best according to your need. Higher the price, more advanced specifications and facilities you’ll get. Let us know your words on the Above trending cameras by FujiFilm India. Facebook always loves to change and that is the core reason people loved the Facebook more than other social networking site. 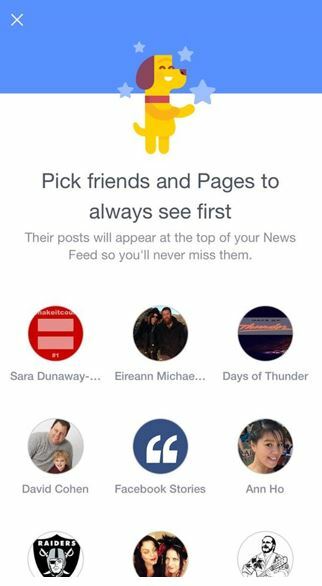 Facebook is testing feature on mobile let it allows users to choose the friends and pages they want to see on the Top of the news feed, so they don’t miss the important update. Facebook newly launched feature is not available to all the fb mobile users but its been prompted for some of the users which shows the “See more of what you love.” with detailed help message “Pick friends and pages and see their posts at the top of New Feed”. When you get started, it leads you to the list of pages and friends and allows you to select and give it priority. This selected person and pages get higher priority than other list of people and according to Facebook algorithm update for mobile users, it’ll shows the each post first from the selected list. Facebook confirmed the Test to socialTimes but didn’t mentioned how it works. Mobile users some time miss the important sharing as they had the lots of friends and pages connected to account. So Facebook rolled out the new feature which allows let users can give preference to the person or pages to appear first on news feed. 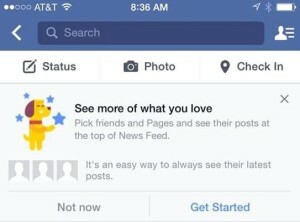 See the Image displayed above how its been appear and tested by Facebook mobile. It’ll helps millions of people across the globe to catch the necessary update first on their busy an faster life. Its boon for those who checks Facebook for important updates. Xiaomi smartphone maker launched new Fitness band in India and was open for registration from 28th April via the official Mi Site. Mi fitness band has the high demand and company managed to sold out the 1000 Mi band on flash sale via the official site in just 7 seconds. Company happily announced on the Facebook account that company has the next sale details and stay tuned to get update on next sale. 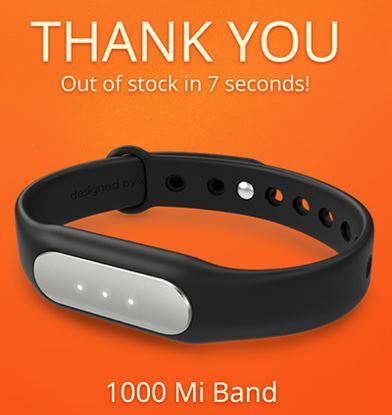 It was the surprising offer as the Xiaomi Mi fitness tracker was available just at Re. 1. Mi fans can get the device in cart and do payment within 2 hours. *Mi Bands of Re. 1 Special Preview are issued as special prizes. Today sale on 2 pm got the awesome response as company sold out the limited units in just fraction of seconds. Mi Fitness band Specifications are much powerful which offers the Advanced features at affordable price range. Mi band tracks the Daily calories you burnt by detailed analytic report and keeps you motivate to workout more to improve the fitness. Along with Fitness tracker it also provides the Incoming call alert, Wake up alarm and more security feature. Get the more details at Mi band Specifications and Stay Tuned to Mi official store to get update on Second Flash sale. If you are running the business and don’t want to mess up with the coding and other stuffs to develop the Website and don’t have time to learn all the technical stuffs. 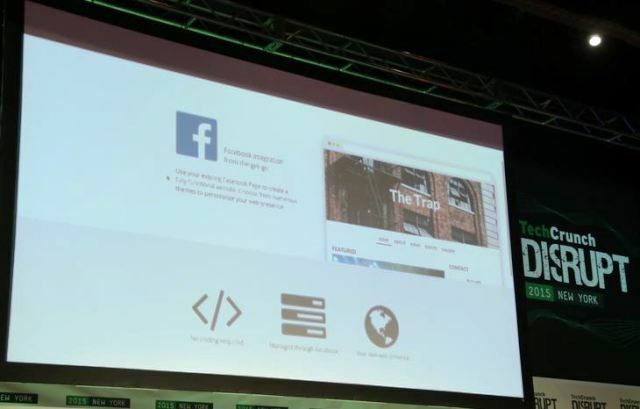 Don’t worry, Team of three developers comes up with great idea for small business to make the world wide web presence in just few clicks via the Facebook Fan page. Majority of the people market their business through Facebook and its the great way to get more users attentions on the go. Pager is the nice applications Developed by the smart persons which allows to turn your Facebook page into the Website with just easy clicks. You can further personalize your web experience by using the themes provided by Application. Any one can setup the website by Facebook Page instance. Just run the Pager app and Login with credentials to allow the Fan Page access to the App. Select the page which you want to use and save it to make it live automatically. When you get the website live, You’ll find the four sections widely needed for any business. i.e. About, News, Events and Galleries. 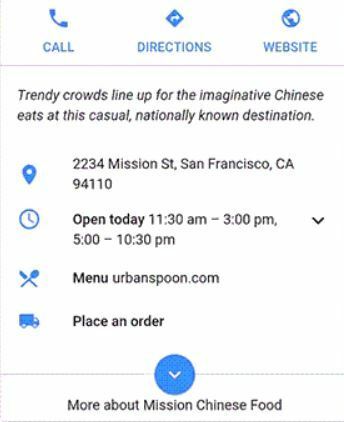 All your contact information and opening hours resides in About section. News section contains all the wall posts, events and galleries are pretty self-explanatory. Code for the Facebook API is almost ready. “We were pretty productive until one or two A.M… then it was harder,” Ilea said. You can access the Code which is present as a public on the GitHub, You can also set it up locally as described in the Setup section on Github.